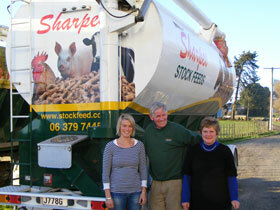 The history behind Sharpes Stockfeed. 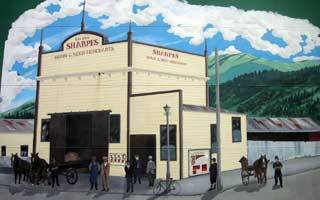 Founded by John Sharpe in Petone in 1899, the business was built around the needs of the small farmers and particularly horse-drawn transport in the Hutt Valley. In 1937, Alan Orsborn bought the business and to this day Sharpes is still owned and operated by the Orsborn family. In the 1950s there were major changes in the feeding of intensive livestock, especially poultry and pigs. Sharpes developed with these changes and is today manufacturing nutritionally balanced rations for all farm livestock. Poultry feeds for egg-laying birds remain the core element of the business. In 1980 Sharpes Feedmill relocated its manufacturing operation from Lower Hutt to rural Wairarapa where much of the grain used in the manufacturing process is grown. In 1991 a computerised batching plant was installed which greatly increased our ability to produce rations that reflected the needs of intensive livestock farming. 2006 saw another major plant upgrade with the installation of a second production line. This gives Sharpes Stock Feeds the ability to manufacture feeds for monogastric animals, e.g. pig, poultry and ruminant animals on completely separate production lines. 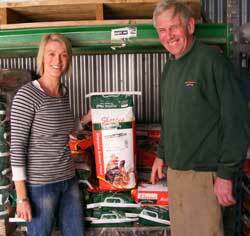 In 2009, Alastair and Nicky’s daughter inlaw, Sara Orsborn, came on board as the Marketing & Sales Manager for Sharpes Stockfeed. 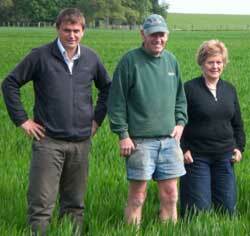 The business has since grown into supplying volumes outside the Wairarapa region. In 2010 the project was undertaken to redesign all the product bags to give them a smarter look. All bagged product is now in these newly designed bags. In 2013, Alastair and Nicky’s son Sam with his wife (Sara) and 3 children moved into the family home located right next to the Sharpes Stockfeed mill. Sam and Sara are now playing a big role in the family business.